Just a bit of cayenne pepper is all it takes to turn grilled corn with lime mayo into Grilled Corn with Spicy Lime Mayo! Grill corn 15 min. or until tender, turning occasionally. Cool completely. Cut kernels from corn. Mix remaining ingredients in medium bowl. Stir in corn. Grilled corn on the cob is a must-have item at every summer barbecue. 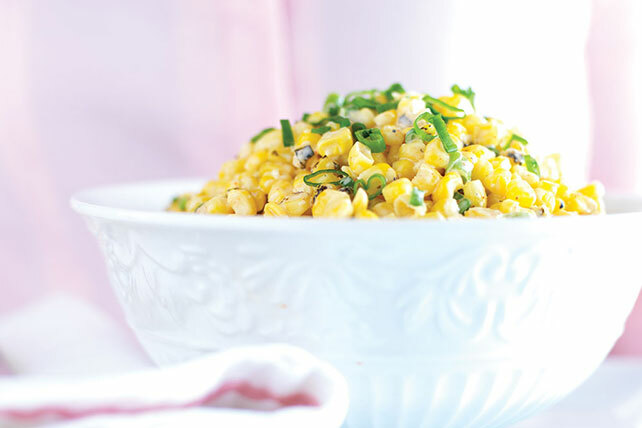 Remove the kernels from any leftover corn, refrigerate and use to prepare this tasty side dish. Place a soup bowl upside-down inside a larger bowl. Stand ear of corn on bottom of bowl. Run sharp knife in downward motion, turning cob as necessary to remove kernels from all sides of each cob.